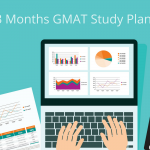 If you’re a busy working professional looking to do an MBA, you’re probably asking yourself how you’re going to find the time to study for the GMAT. It won’t be easy, as life is busy enough without having to prep for an exam. 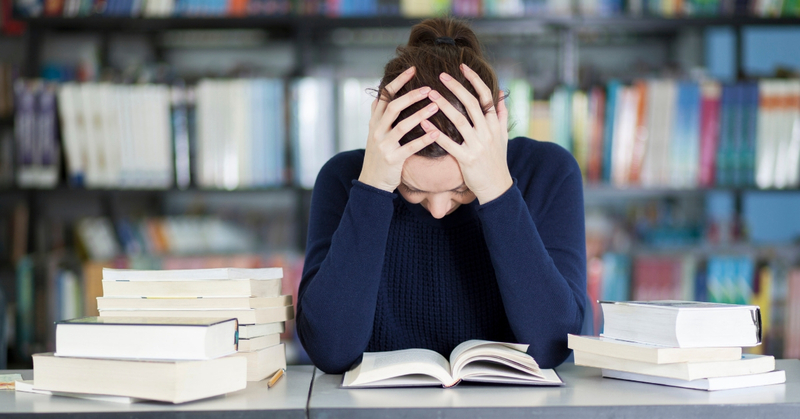 The following tips can help you figure out how to prepare well for the GMAT while working. 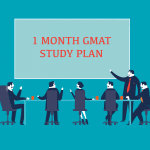 Devote chunks of time on both weekdays and weekends to GMAT prep. They don’t have to be long, but they have to be consistent. Use weekend mornings to study, as this is a quiet time that can be spent learning new subjects and practicing questions. Make the most of Sunday evenings. If you study on Sunday evening, you’ll know you have started the week with some prep, no matter what happens in the week ahead. Try to have 3-hour study sessions with 1-hour breaks. 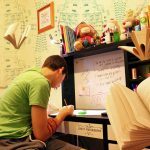 Create the right kind of studying environment: minimize distractions (switch off your mobile phone if you are not using it for studying). Use strong lighting to stay alert. Find a study partner: if your friend or co-worker is also studying for the GMAT, find times to study together and help each other stay on track. Study on the weekend as much as on weekdays but take one day off a week (not the weekend). Add some study time at the office, either by arriving at work early or staying till late at the end of the day. Make a realistic schedule in an excel sheet, where you can adhere to the schedule and keep track of your progress. Make a ‘study date’ by studying at your favorite bookstore or coffee shop once a week. Don’t just leave your studying to the end of the day when you are tired. Consider studying for one hour in the mornings as well. Start with the more difficult topics, and leave the easier ones for later in the day. Discuss flexible work options with your boss. Prioritize: with your added work, there may be some commitments you have to miss for a while. Set a realistic timeline, as this will make you more effective and keep you on track with the goals you have set. Adjust your sleep schedule, as you may need more hours in the day to study. Use your lunch break wisely. Bring a packed lunch instead of going out so that you can make the best use of your time. The hour or half an hour of your lunch break can add up. Use your commute to study. It adds study time without your having to change your schedule. Practice while waiting at doctor’s appointments or other places. Don’t waste time watching TV. If you give up some of the time spent watching TV, you will have more study time. Make use of work leave. Choose a schedule that fits your strengths and weaknesses. For example, if you work best at night, set a night owl schedule. If you are fresher in the morning, you can get up early in the morning to study. Use technology: download your textbooks to your iPad or use a Kindle, and take a mini laptop when you go out. Live your life as well: you may feel overworked and stressed out. If you get very agitated or upset, your performance could deteriorate. Maintain a psychological and emotional balance by making sure you have a life as well. Meet friends once in a while, watch a movie, read a regular book (not a revision guide! ), socialize or even go for a walk. 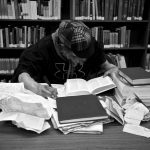 Work according to a study schedule of six days a week, with 2-3 hours of focused study every day. At the beginning, you can evenly split your time between Quant and Verbal (3 days quant and 3 days verbal, with one day off). But as your preparation progresses, you can change this schedule as you discover your strengths and weaknesses. 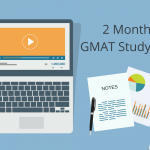 To get a better understanding of your GMAT prep timeline, read how much time should be spent studying for the GMAT? Pick a memorization session as close as possible to the end of the day – when you are more likely to remember more. Focus extra practice time on your areas of weakness. What matters is getting to the correct solution, fast: the problem is that just solving lots of questions (with practice tests or coaching) is not sufficient in terms of improving mental flexibility. Actually, the opposite is true. Solving thousands of questions without improving your cognitive flexibility will only cement the wrong thinking patterns in your mind. Train yourself to find YOUR best solution approach to answering GMAT questions. The GMAT measures your ability to flex your mind. Improving cognitive flexibility is a way to boost GMAT performance, and this starts with knowledge of what tools to use and which tools work best for you. examPAL helps you find your fastest way to solve each GMAT question, making your GMAT preparation process as efficient as possible. For more information see examPAL.com. Now it’s time to get a good score. Good luck! These are all such amazing tips. I think it’s so important to keep living your life though because if you’re studying all the time on the weekends and working all week you’ll just go stir crazy and won’t do well because your mind is somewhere else. Discussing flexible working hours with your boss is also a great idea, especially since bosses are usually quite happy you’re pursuing an MBA. How would you say is the best way to approach this topic with them? Great advice! It’s so hard to juggle studying with full-time worth, but it’s so important. My cousin weaned herself off of coffee so that on the morning of the test she could have coffee and experience all of the increased brain activity…which backfired because she had to leave in the middle of the test to use the bathroom. So don’t overcomplicate preparation like that! You should show your managers how THEY are going to benefit from it. Try something like: “I wanted to talk to you because I’m really enjoying what I’m doing, and it made me think that I should aim higher in the managerial ladder. I’m thinking about going to a business school and getting an MBA. 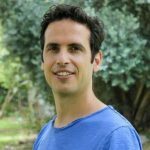 It’s a long admission process, and I would like to ask you how do you think that I could leverage my experience here in order to build a better admission profile? What more can I do in order to have a substantial managerial experience?” Once your managers become part of the process, they’ll be happy to help and contribute from their own personal experience.